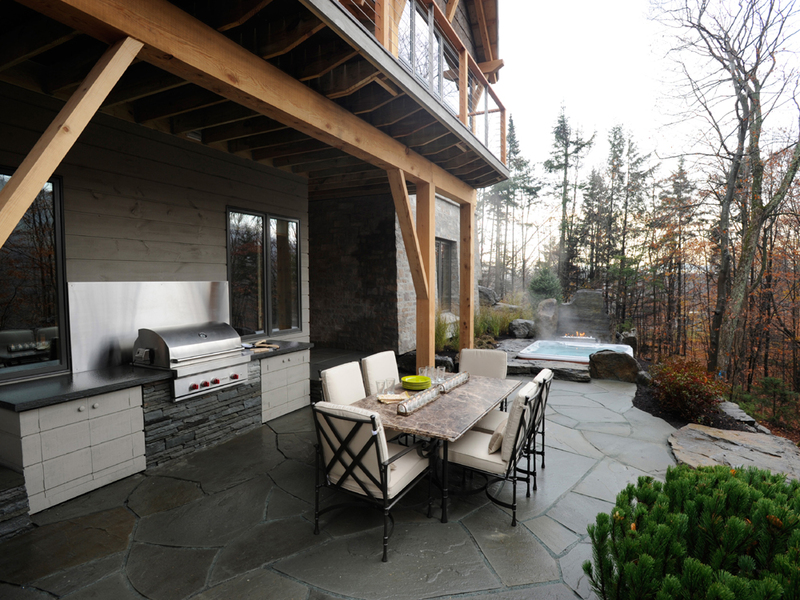 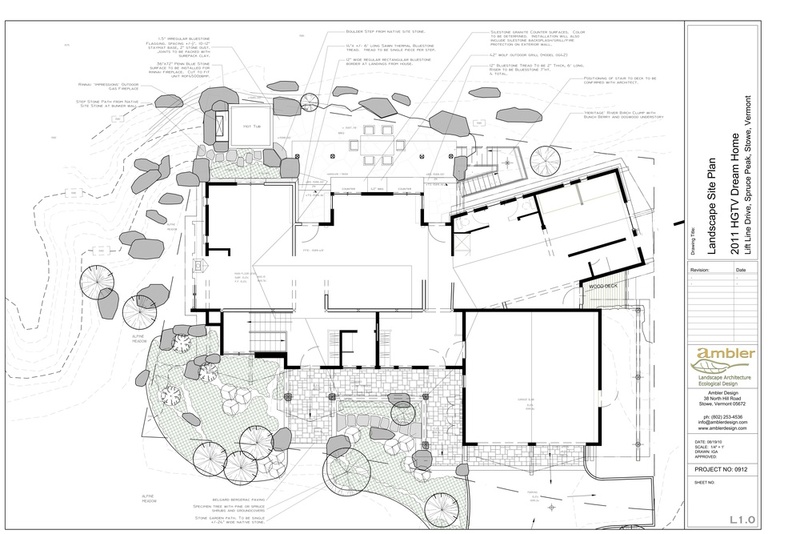 Ambler Design was asked to provide the design and construction of the landscape and terraces at the HGTV House at Stowe Mountain Resort. 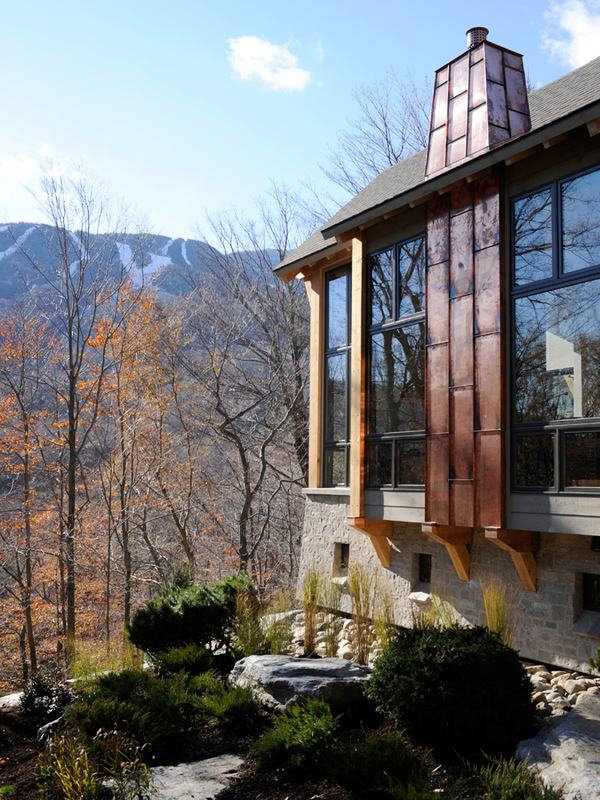 The rear of this modern mountain home faces Mount Mansfield and is where a dining terrace and outdoor kitchen are located to take advantage of the view. 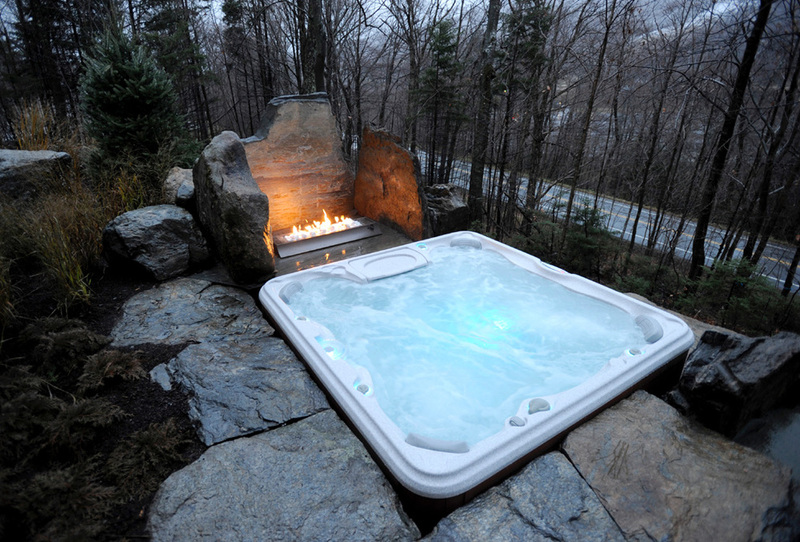 At the end of the terrace a hot tub is built into the hillside in close proximity to an outdoor gas fireplace to enjoy after a day on the slopes.